What happens when you combine a feisty off-road attitude with a hardened aluminum alloy, multi-piece construction and stunning design details? You get Black Rhino’s new Selkirk model off-road wheels. 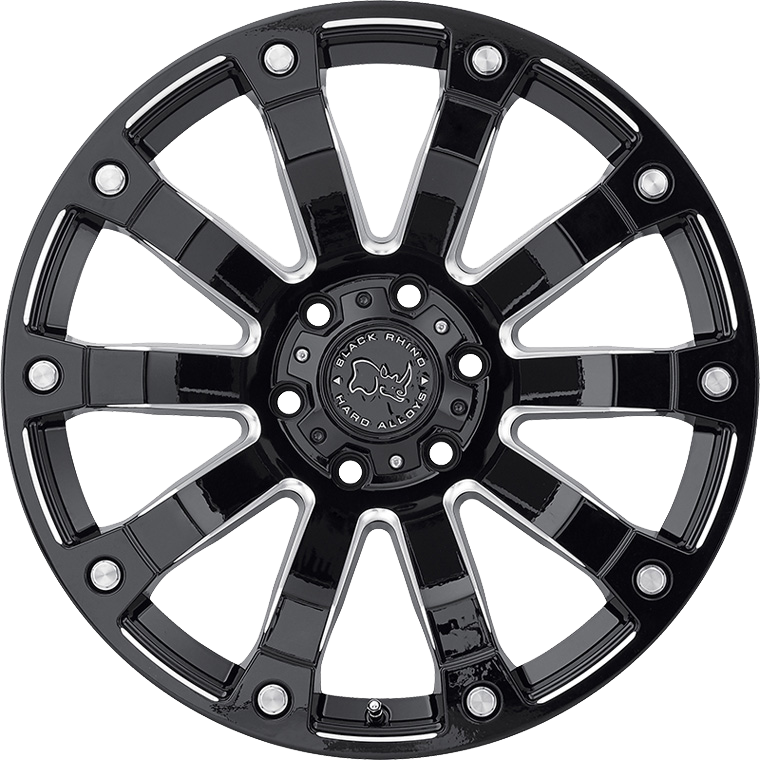 Selkirk wheels, with their ten brawny spokes and beefy center cap, in a gloss black finish with bright milled edge detail, punctuated by oversized hex bolts at the lip edge, just exudes a lifted truck temperament. Our manufacturing expertise enables us to combine a one-piece cast spoke and hub array fusion welded to a lightweight forged our barrel, the best of two worlds. Selkirk off-road rims are available17x9, 18x9, 20x9 and 20x10 sizes, with a wide range of offsets to help you achieve the wide off-road footprint you’re after.